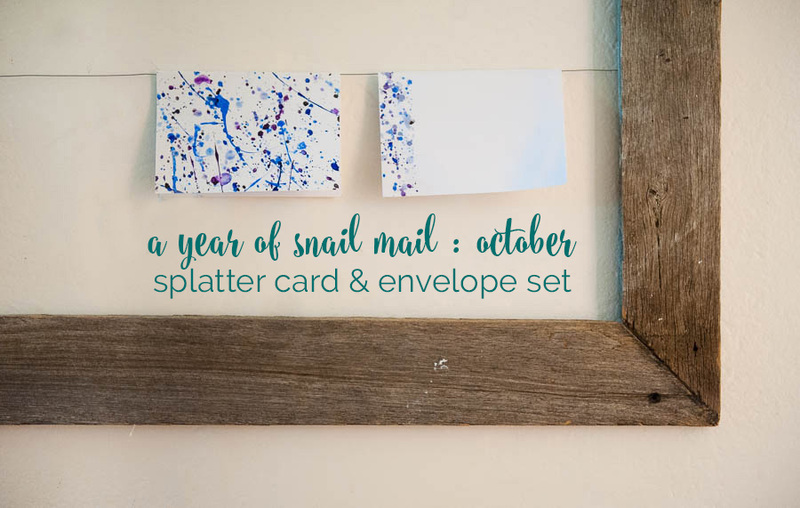 I am just a wee bit late in sharing an update on last month’s snail mail DIY – last month totally whacked me for six, but while I am late in the updating, I wasn’t late in getting my project finished AND I managed to get the first newsletter sent out only a couple of days late! Not sure what I’m talking about? Start here for the run down on the challenge. This month’s project was to create a splatter note card, and I had so much fun with this one! I decided it was the perfect craft for playing with my little people, so one lovely sunny afternoon, we all got outside with some paint and water and brushes and went to town! We used a set of blank cards I had on hand for ours – conveniently I had five left. One per child and one for me, couldn’t have worked out better! We used just plain acrylic paint from my collection, nothing too fancy. A couple were from Aldi, and a couple from the cheap shop, both favourites as they tend to have quite a thin consistency. Even so, I also set out a big pot of water so we could wet our brushes both before and after paint loading to have a play around with what consistency gave the best splatters. It was really interesting to see how different our cards all turned out, even with the same colour pallette to choose from and the same basic technique. With our cards drying, we then had a play with masks and used the matching envelopes to splatter on so we could make a matched pair. I can’t wait to see what you have made! If you have shared on your blog or instagram, leave a link in the comments below and I will add your link to this post, or you can tag me on instagram so I can find you. Have you sent yours yet? My card is still sitting on my desk. I have a little care package I want to send to a friend and her daughters that I will be using it for, but I still have a thing or two to collect for it. Let’s go big and try two projects this month before the real end of year rush comes and hits us – and really, with party season ahead, who couldn’t use a back-up stash of stationery? 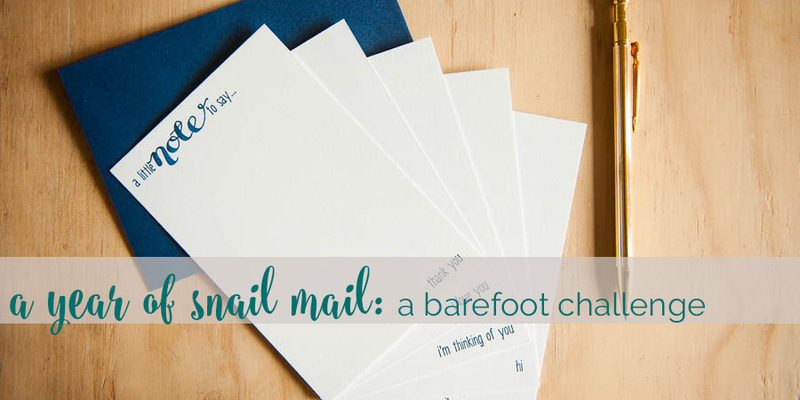 Let’s send a letter in a pretty handmade envelope and liner. For the second project, I think we should up our addressing game with this cute tag stamp. I can’t wait to see your creativity come out to play! Who’s in for November?